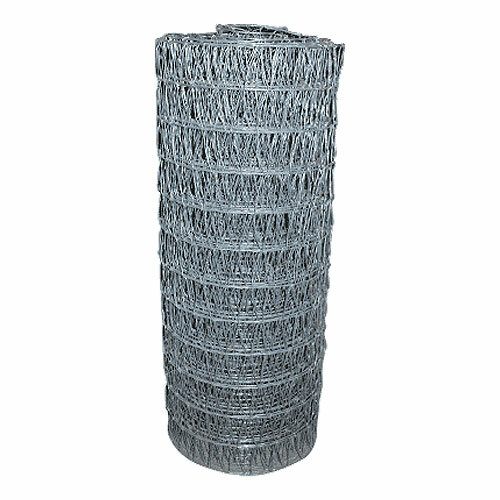 Red Brand Extended Life v-mesh horse fencing helps keeps predators out and is constructed from Class-3 12.5-gauge and 14-gauge galvanized wires for a strong, extremely durable fencing system. 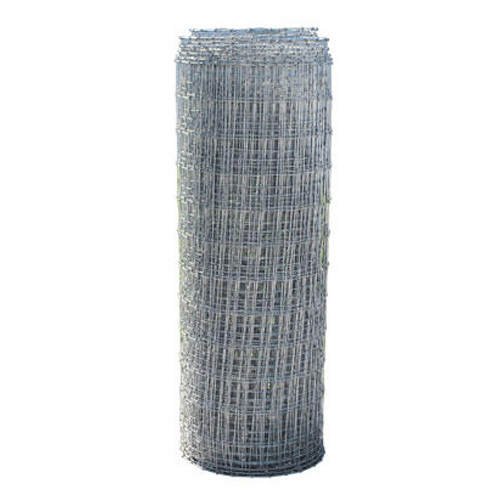 RAMM's Class-3 galvanized mesh fencing is made of 12.5-gauge high-tensile wires. These 200' rolls are designed so horses legs aren't able to go through the fencing. It's also a great barrier; hindering predators from getting inside. Mesh horse fencing helps keep predators out while keeping your horses and livestock contained. Mesh horse fencing is great if you have small pets and worry about them getting into or out of pastures. Wire mesh fence is much more effective than traditional high tensile wire and board fencing systems. The closely spaced woven design helps prevent horses from “stepping through” or “walking down” the fence. RAMM's non-climb 2x4 mesh fencing systems close spacing of 2" x 4" weaves help prevent hooves and legs from becoming caught in the fence. Red Brand Extended Life v-mesh fencing has long been recognized as a safer horse fence for alpaca and other livestock as well. The double-twisted horizontal wires leave less room for smaller hooves to get caught. Available in 50" and 58". With over 30 years of experience in the horse industry, RAMM specializes in providing horse fencing systems and equine products that have been proven to provide you with superior performance in the protection of your horses. Our wire mesh fence gives years of protection between fencing and is designed to meet your equine fencing demands. Many consumers will often choose to add extra protection to their wire mesh by installing a top rail of Flex Fence®, which also adds visibility. Flex Fence® will help prevent the horses from leaning down on the wire, giving it an even longer life expectancy! You're encouraged to talk with one of our friendly, equine-fencing experts today at 800-434-8456! They will be able to provide you with a free, custom estimate on your mesh fencing project.